EX trim, Urban Titanium Metallic exterior and Beige interior. FUEL EFFICIENT 36 MPG Hwy/25 MPG City! Sunroof, CD Player, iPod/MP3 Input, Alloy Wheels, Edmunds Lowest True Cost to Own Coupe Under $30,000. SEE MORE! KEY FEATURES INCLUDE Sunroof, iPod/MP3 Input, CD Player, Aluminum Wheels Honda EX with Urban Titanium Metallic exterior and Beige interior features a 4 Cylinder Engine with 140 HP at 6300 RPM*. EXPERTS REPORT Car and Driver Editors Choice. Edmunds.com's review says Thanks to its frugal and clean engines, spunky performance and reputation for excellent reliability and durability, the Honda Civic has been a consistent benchmark for the economy car class ever since its introduction.. 5 Star Driver Front Crash Rating. 4 Star Driver Side Crash Rating. Great Gas Mileage: 36 MPG Hwy. VISIT US TODAY Welcome to Toyota of Redlands. Come visit our brand new dealership on 8 acres conveniently located where the 10 and 210 meet. We have been family owned for 20+ years. Our #1 GOAL is CUSTOMER SATISFACTION! Pricing analysis performed on 3/29/2019. Horsepower calculations based on trim engine configuration. Fuel economy calculations based on original manufacturer data for trim engine configuration. Please confirm the accuracy of the included equipment by calling us prior to purchase. FUEL EFFICIENT 26 MPG Hwy/19 MPG City! Touring trim, Silver Pearl Metallic exterior and Gray interior. Sunroof, NAV, 3rd Row Seat, Heated Leather Seats, DVD, Alloy Wheels, Quad Seats, Edmunds Editors' Most Wanted Minivan SEE MORE! KEY FEATURES INCLUDE Leather Seats, Third Row Seat, Navigation, DVD, Sunroof. Honda Touring with Silver Pearl Metallic exterior and Gray interior features a V6 Cylinder Engine with 244 HP at 5750 RPM*. EXPERTS CONCLUDE Edmunds Consumers' Most Wanted Minivan. Edmunds.com's review says The Honda Odyssey remains our favorite choice in the minivan segment.. 5 Star Driver Front Crash Rating. 5 Star Driver Side Crash Rating. Great Gas Mileage: 26 MPG Hwy. WHO WE ARE Welcome to Toyota of Redlands. Come visit our brand new dealership on 8 acres conveniently located where the 10 and 210 meet. We have been family owned for 20+ years. Our #1 GOAL is CUSTOMER SATISFACTION! Pricing analysis performed on 4/4/2019. Horsepower calculations based on trim engine configuration. Fuel economy calculations based on original manufacturer data for trim engine configuration. Please confirm the accuracy of the included equipment by calling us prior to purchase. LT trim. EPA 35 MPG Hwy/25 MPG City! CD Player, Satellite Radio, Remote Engine Start, Onboard Communications System, TRANSMISSION, 6-SPEED AUTOMATIC, ENGINE, ECOTEC 1.8L VARIABLE VALVE TI... Aluminum Wheels. READ MORE! KEY FEATURES INCLUDE Satellite Radio, CD Player, Onboard Communications System, Aluminum Wheels, Remote Engine Start. OPTION PACKAGES CHEVROLET MYLINK RADIO, AM/FM STEREO WITH SEEK-AND-SCAN AND DIGITAL CLOCK includes Bluetooth streaming audio for music and select phones; voice recognition for compatible phone; Pandora, TuneIn radio, Stitcher and Siri Eyes Free voice recognition smartphone compatible; all functions controlled through 7 diagonal color touch-screen; deletes card slot on center console, no CD player included, ENGINE, ECOTEC 1.8L VARIABLE VALVE TIMING DOHC 4-CYLINDER SEQUENTIAL MFI (PZEV) (138 hp [103 kW] @ 6300 rpm, 125 lb-ft of torque [168.8 N-m] @ 3800 rpm), TRANSMISSION, 6-SPEED AUTOMATIC (STD). Chevrolet LT with Summit White exterior and Jet Black/Dark Titanium interior features a 4 Cylinder Engine with 138 HP at 6300 RPM*. EXPERTS REPORT Edmunds.com explains . the Sonic feels more refined and substantial than its size would suggest. Its well-tuned suspension provides both steady handling and respectable ride comfort, giving the Sonic the character of a miniature Volkswagen Golf.. Great Gas Mileage: 35 MPG Hwy. MORE ABOUT US Welcome to Toyota of Redlands. Come visit our brand new dealership on 8 acres conveniently located where the 10 and 210 meet. We have been family owned for 20+ years. Our #1 GOAL is CUSTOMER SATISFACTION! Pricing analysis performed on 4/4/2019. Horsepower calculations based on trim engine configuration. Fuel economy calculations based on original manufacturer data for trim engine configuration. Please confirm the accuracy of the included equipment by calling us prior to purchase. CARFAX 1-Owner. iA trim. FUEL EFFICIENT 42 MPG Hwy/33 MPG City! Bluetooth, Smart Device Integration, iPod/MP3 Input, Aluminum Wheels, Back-Up Camera. AND MORE! KEY FEATURES INCLUDE Back-Up Camera, iPod/MP3 Input, Bluetooth, Aluminum Wheels, Smart Device Integration EXPERTS ARE SAYING Edmunds.com explains Strong value, as just about every feature comes standard; engaging handling for the class; refined interior; high fuel economy.. Great Gas Mileage: 42 MPG Hwy. SHOP WITH CONFIDENCE CARFAX 1-Owner OUR OFFERINGS Welcome to Toyota of Redlands. Come visit our brand new dealership on 8 acres conveniently located where the 10 and 210 meet. We have been family owned for 20+ years. Our #1 GOAL is CUSTOMER SATISFACTION! Pricing analysis performed on 4/17/2019. Fuel economy calculations based on original manufacturer data for trim engine configuration. Please confirm the accuracy of the included equipment by calling us prior to purchase. FUEL EFFICIENT 32 MPG Hwy/22 MPG City! LS trim. CD Player, Onboard Communications System, iPod/MP3 Input, Aluminum Wheels, Satellite Radio. AND MORE! KEY FEATURES INCLUDE Satellite Radio, iPod/MP3 Input, CD Player, Onboard Communications System, Aluminum Wheels. EXPERTS CONCLUDE CarAndDriver.com explains This boasts class-leading rear-seat space, secure on-road manners, and a quiet and refined cabin.. Great Gas Mileage: 32 MPG Hwy. VISIT US TODAY Welcome to Toyota of Redlands. Come visit our brand new dealership on 8 acres conveniently located where the 10 and 210 meet. We have been family owned for 20+ years. Our #1 GOAL is CUSTOMER SATISFACTION! Fuel economy calculations based on original manufacturer data for trim engine configuration. Please confirm the accuracy of the included equipment by calling us prior to purchase. GREAT MILES 71,562! EPA 31 MPG Hwy/22 MPG City! SE w/Sunroof & Nav trim. Navigation, Moonroof, Heated Seats, Aluminum Wheels, iPod/MP3 Input, Satellite Radio. READ MORE! KEY FEATURES INCLUDE Navigation, Sunroof, Heated Driver Seat, Satellite Radio, iPod/MP3 Input. EXPERTS ARE SAYING CarAndDriver.com explains The Passat is larger, now made in America for American tastes, and it offers a lot of bang for your buck while still retaining many VW hallmark qualities.. Great Gas Mileage: 31 MPG Hwy. BUY FROM AN AWARD WINNING DEALER Welcome to Toyota of Redlands. Come visit our brand new dealership on 8 acres conveniently located where the 10 and 210 meet. We have been family owned for 20+ years. Our #1 GOAL is CUSTOMER SATISFACTION! Pricing analysis performed on 4/11/2019. Fuel economy calculations based on original manufacturer data for trim engine configuration. Please confirm the accuracy of the included equipment by calling us prior to purchase. EPA 39 MPG Hwy/30 MPG City! Kona Coffee Metallic exterior and Black interior, LX trim. Bluetooth, CD Player, Back-Up Camera, iPod/MP3 Input. READ MORE! KEY FEATURES INCLUDE Back-Up Camera, iPod/MP3 Input, Bluetooth, CD Player Honda LX with Kona Coffee Metallic exterior and Black interior features a 4 Cylinder Engine with 143 HP at 6500 RPM*. EXPERTS ARE SAYING Edmunds.com explains . the rear-seat accommodations are excellent for this class. The rear bench is mounted high enough to provide proper thigh support for adults, and it boasts significantly more real-world legroom than key rivals like the Chevrolet Cruze and Ford Focus.. Great Gas Mileage: 39 MPG Hwy. 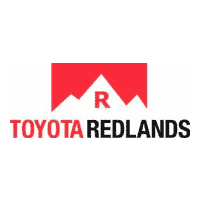 MORE ABOUT US Welcome to Toyota of Redlands. Come visit our brand new dealership on 8 acres conveniently located where the 10 and 210 meet. We have been family owned for 20+ years. Our #1 GOAL is CUSTOMER SATISFACTION! Pricing analysis performed on 3/29/2019. Horsepower calculations based on trim engine configuration. Fuel economy calculations based on original manufacturer data for trim engine configuration. Please confirm the accuracy of the included equipment by calling us prior to purchase.